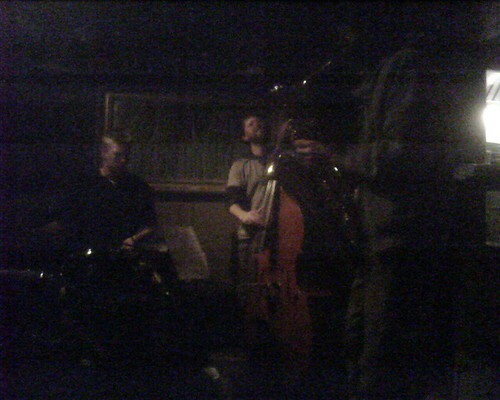 I had a story all lined up today about Mark Twain being the first great blogger (it’ll make more sense when I write it) but then I spent the better part of the evening at a pub in Brookline, MA where there were literally about 20 different jazz musicians all taking turns jamming on the each others instruments. And yet, despite my musical deficiencies, it was still a great night. Many of the things on my list made the cut because I hate thinking that I missed out on entire eras of modern American history or that I’ve missed out on whole slices of current American culture. Seeing a freak show comes to mind, taking part in a Civil War reenactment or even riding a horse through a covered bridge. Jazz is one of those eras that under normal circumstances, had I not made these drastic changes to my life, I never would have been exposed too. As a result, although it didn’t make the list it’s still solidly in the category of TASTHIB (The Awesome Stuff That Happens In Between). I was completely in awe of these people. Most don’t even normally play together and yet they all new what to do when they got their respective instruments in their hands. Jazz. Who knew? I’m so glad I got to experience another slice of America I otherwise would have missed out on. This adventure has been completely eye opening. If you enjoyed this story buy me a trumpet. You know…so I can get all jazzy. I can see why you would appreciate jazz especially right now on this adventure. Jazz is the musical equivalent of ultimate flow, synchronicity and attempting new things, exactly what you’re doing while Amtrekking! You have been exposed to jazz before you just weren’t ready to hear it grasshopper. Man… I wish I knew enough about jazz to really appreciate it. Maybe I should visit Harlem.